Estee Lauder VELVET ORCHID 404 Violet Red Purple Metal BNIB Nail Polish RARE!!!! ESTEE LAUDER. VELVET ORCHID. Work appropriate, excellent from office to party. Greatly suited for pale and darkertones. El egant, very b eautiful, ultra-rare color all year round! Ultra-Chic, Beautiful, Stylish & Very Rare Designer Shade! ESTEE LAUDER Nail Polish INSPIRING P2 Brown Pink Orange Gold Shimmer BNIB RARE!! ESTEE LAUDER. If you like Chanel's ELIXIR, EXCEPTION or the wonderful rare PAPARAZZI, you will love this gorgeous Estee shade! Muted Coral Brown Pink Bronze . Greatly suited for both pale and darkertones.H ard-wearing, easy to apply, excellent formula for long-lasting color & shine. ESTEE LAUDER. EXTRAVAGANT PEARL. Grab a fantastic designer nail polish! 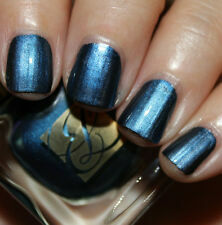 If you like Chanel's PEARL DROP, you will love this Estee nail color! Totally gorgeous! Rare, and v ery hard to find. H ard-wearing, smooth, easy to apply formula for long-lasting, glowing color and shine. ESTEE LAUDER Nail Polish CAVIAR GK Green Grey Teal Shimmer Chic BNIB FAB RARE!!! ESTEE LAUDER. Superb Style! Excellent all year round! VHTF LTD ED, Chic, Glitzy, Festive & Gorgeous! 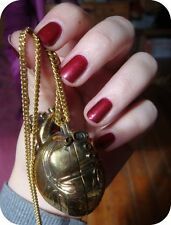 Very elegant, very chic, and wearable, trendy, unique shade! Ultra-chic, work appropriate, and very rare! ESTEE LAUDER Nail Polish MIDNIGHT METAL 02 Blue Glitzy Chrome Vernis LTD BNIB!!! ESTEE LAUDER. Glamorous, Fun, Glitzy & Gorgeous! Hard-wearing, smooth, easy to apply, excellent, high quality Estee Lauder nail formula for long-lasting, glowing color shine. It’s almost as if the polish has been buffed or airbrushed.". ESTEE LAUDER Vernis BLUE BLOOD Metal Shimmer BNIB Nail Polish Vamp Glitz Chic!!! ESTEE LAUDER. BLUE BLOOD. Very fashionable with this season's trend for blue nails!Work appropriate, excellent from office to party, glamorous, sophisticated, very chic!L uxurious, glitzy color! H ard-wearing, smooth, easy to apply, excellent formula for long-lasting, glowing color shine. Estee Lauder EXTRAVAGANT NIGHT Purple Black Silver BNIB Nail Polish Chic RARE!!! ESTEE LAUDER. EXTRAVAGANT NIGHT. TABOO, you will love this limited Estee color; a sparkly, glitzy shade for all seasons! 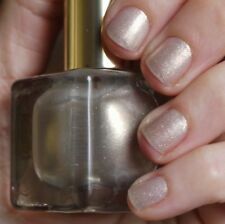 L uxurious, glitzy, chic, festive color, gorgeous all year round. Superb style! Estee Lauder INSATIABLE H0 Smoky Lavender Purple Nail Polish LTD VHTF Chic RARE! ESTEE LAUDER. 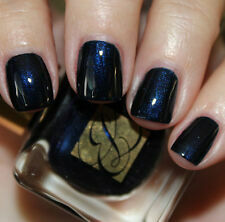 Superb, ultra-chic, beautiful, smart color by Estee Lauder! Very wearable, elegant, modern shade! Stunning VHTF Very Rare Sold Out LTD ED Hard To Find, Very Beautiful, & Trendy! VHTF & VERY RARE! ESTEE LAUDER Nail Polish BETE NOIRE Purple Metal Blurple BNIB Vernis LTD RARE!!! BETE NOIRE. ESTEE LAUDER. VHTF LTD Modern, Festive & Gorgeous! Greatly suited for all occasions.Luxurious, sophisticated, fun, modern shade to wear all year round. Perfect all year round! All information shared is subject to this Privacy Notice. ESTEE LAUDER Nail Polish STEEL ORCHID 05 Purple Violet Metal Vernis BNIB RARE!!! ESTEE LAUDER. It’s almost as if the polish has been buffed or airbrushed.". STEEL ORCHID. Purple Silver Violet Pearl . T otally fabulous! H ard-wearing, smooth, easy to apply, excellent nail formula for long-lasting, glowing color shine. ESTEE LAUDER Nail Polish METALLIC SAGE Olive Gold Khaki Green BNIB Holiday FAB!! ESTEE LAUDER. Superb Style! A glamorous, luscious, fun, unique color! Gorgeous sparkle and shine for all occasions, smart or casual. H ard-wearing, smooth, easy to apply, excellent nail formula, for long-lasting, glowing color and shine.